A tick is a small parasite that attaches itself on your dog’s skin causing irritability and health problems to them. They usually get to the skin through stray dogs while they interact with a spot where female ticks are laying eggs. The ticks’ eggs once hatched lay around on the ground until they find a dog that they jump onto. The tick’s mouth is attached to the skin of your dog and feed them. Ticks release saliva while they are feeding which causes allergic reactions in dogs and other pets. An adventurous pet dog can easily get infected with ticks and turn weaker than it was before. 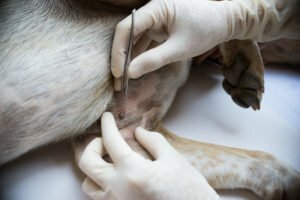 Dogs tend to bite of their skin and loose fur because of the irritation of ticks which is why it is crucial to use topical and external tick preventatives. With heavy infestation of ticks and tick larvae, puppies can die as well. The main tick season is in summers. 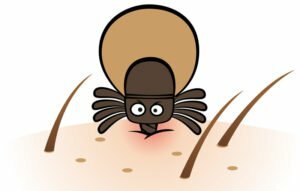 However, many types of ticks are also there in the winter, and all year around, hence, it is important to use natural and medicinal ways to prevent ticks regularly. You can use environmental tick preventatives, over the spot-on counter medication, natural tick prevention, and different tick preventative measures all year around for the health and safety of your dogs. It is not that hard to diagnose ticks, the sooner you diagnose them, the faster you can save you dog from infections and other health issues. If you ever come across even one tick at your home, take full preventatives. You know how many eggs it has laid or how many can be hiding in their favorite hiding spots that are usually near rugs carpets. If your dog is constantly scratching itself, has bumps, has unexplained scabs, or has a high fever, chances are, it has been infested with ticks and needs immediate attention. You can use natural remedies to start off. However, remedial measures are compulsory to take in these situations usually. Even without these symptoms, make sure you check your dog all year around every other day. Ticks are extremely dangerous to the health of your dog or even your family. Ticks are extremely irritable and dangerous to your dog’s health. The first thing when you diagnose ticks is to ensure that it is treated. You can do it with various methods that are in open now. One of the most popular methods is the spot on treatment to remove ticks and another parasite from your dog’s body. This approach includes a package of several liquids in doses that are rubbed on the back of your dog’s body, it is then absorbed, and the ticks are removed. Another method is to simply use oral pills that are chewable and easy digested by dogs to prevent ticks and other parasites that may harm the dog. Oral pills not only help get rid of them, but they also prevent ticks on the dog. Using special tick shampoos is a way to prevent ticks in the season and kills them off if they infect your dog. Shampoos are one of the easiest and efficient ways to kill off ticks on your dog. Tick Dips are also a type of chemical that is pretty high and is applied to the dog’s fur. It can last for a few days; however, it should not be bought over the counter since it can be dangerous for your dog’s skin. A different tick collar is also made that mainly prevents the neck and the head from the ticks once the collar is touching the dog’s body. It releases a particular kind of chemical that helps prevent ticks. Anti-tick powders are also available over the counter for dogs, they are easily applicable, and however, it needs to be ensured that the powder does not get into the lungs of the dog since it can be irritable to them. 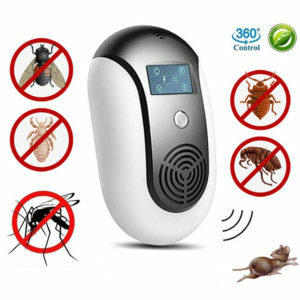 Tick sprays are a short term and easy way of preventing and killing off ticks. These are usually sprayed on dogs before they are left to go in a parasite infected area or a walk. In addition to treating your dog or taking measures to prevent it on them, it is important that you keep the dogs and even your surroundings clean from ticks. One of the fundamental ways is to ensure that your lawn is always clean; it is properly trimmed and fumigated with necessary pesticides. With pets, the used pesticides are carefully looked upon, however, with a healthy lawn; you can prevent ticks on your dogs. It is also critical to check your dog every other day for ticks. If you cannot do it on your own, you may hire someone to do it, however, check in spots like between the toes, inside ears, between legs, around the neck, and in places with dark fur. If you find any ticks, make sure to take immediate action. Also, keep looking for signs like your dog’s irritability for ticks. The best way to prevent ticks on your dogs is not to let them out unnecessarily. 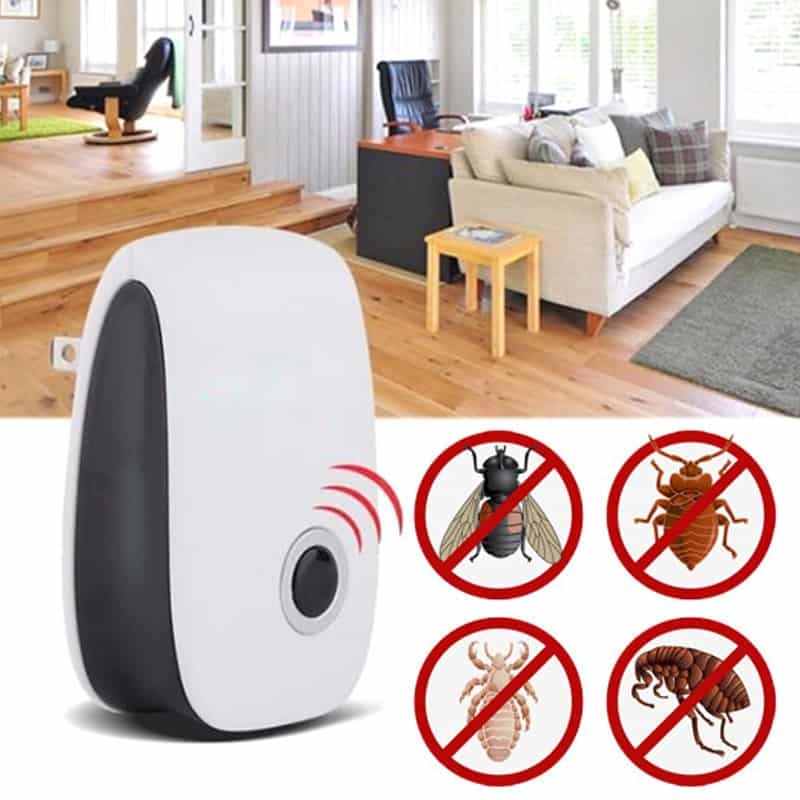 Keep them indoor with you particularly in the height of the tick season. 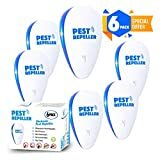 Make sure they are regularly washed and clean and away from the hot tick zone. 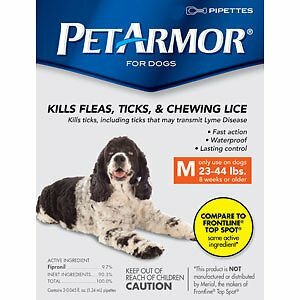 There are several commercial tick repellents on the market for dogs. However, not all have passed the quality test and can be harmful to your pet. The following four are the most efficient and as safe as can be for your dog. PetArmor is an easy to apply and instant solution for adult and young parasites on your dog. It contains an active ingredient Fipronil that is approved by vets of the world and is friendly on almost every dog’s skin. Using it once a month only can help in getting rid of and preventing parasites from your dog. 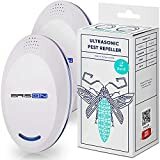 As the product’s name, it is a readily applicable repellent which starts its job in less than an hour. It can be used if you have seen ticks on your dog or if you want to prevent ticks. However, it is important to know the weight and age of your dog before buying the product since it is not for dogs that are under eight months and weigh about 5-22 pounds. Also, ensure that your dog does not have any allergy before you use the product. and are liver flavored for your dog to enjoy it. They are also soluble in water for your dog to consume it quickly. The vitamin generate a particular smell in your animals that humans cannot detect, however, helps keep parasites away from your dog. They need to be consumed in a 30-day course for full effectiveness. It is imperative to take the following dosage for your dog according to their weight to avoid any danger to their health. Dogs of 1 – 50 pounds should be given one chewable tablet every day, dogs from 51-100 pounds are needed to have two chewable tablets daily, and dogs with 101-150 pounds need three chewable tablets every day. More or less dosage can cause health problems or can result in ineffectiveness. 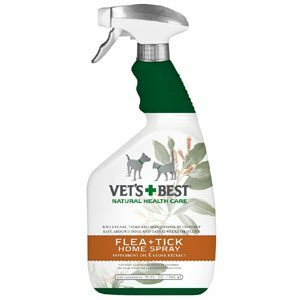 The natural flea tick home spray is a spray that is made with essential natural oils and plant based on ingredients to keep in natural and helps get rid of and prevent ticks and other parasites around the house. It is also safe to use directly on the skin of your dogs and even cats. 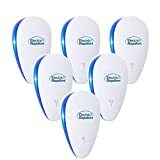 It can be used around the house on carpets and everywhere without leaving a stain. It can be used on dogs by putting a small amount and massaging them. However, it is only for dogs over 12 weeks old. Excess may cause a stain, and it is not at all recommended for furniture. In the case of swallowing, it is highly recommended that one consult their physician and for pets, their vet. 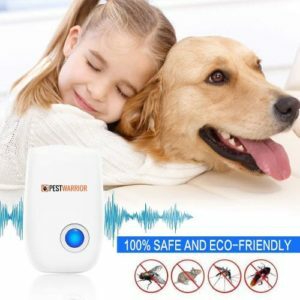 and prevents ticks and other parasites for over eight months. 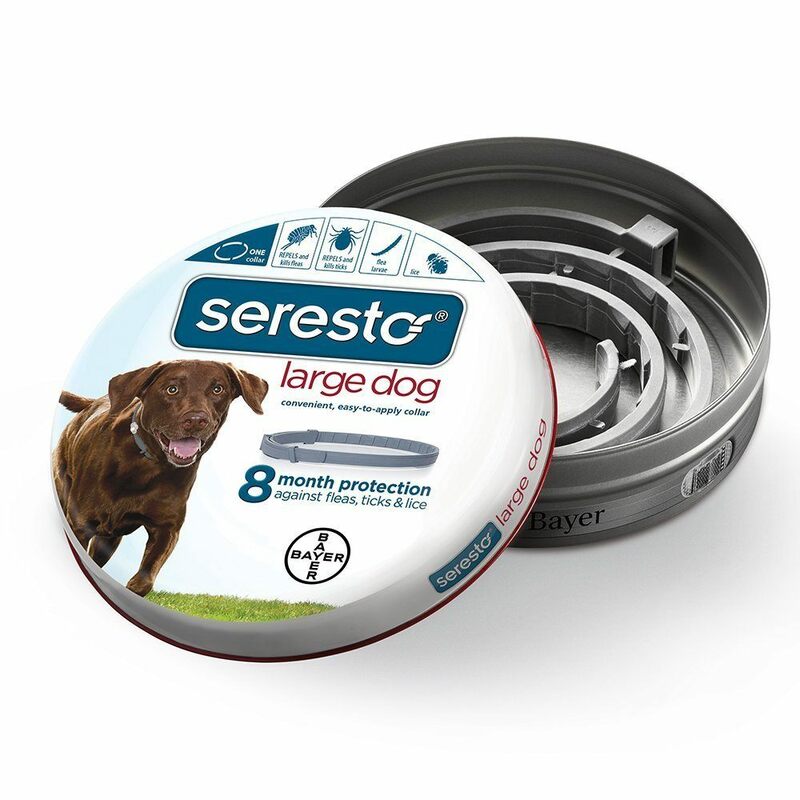 It is approved by vets and highly suitable for large dogs. Just put the non-greasy collar around your dog for up to 8 months. 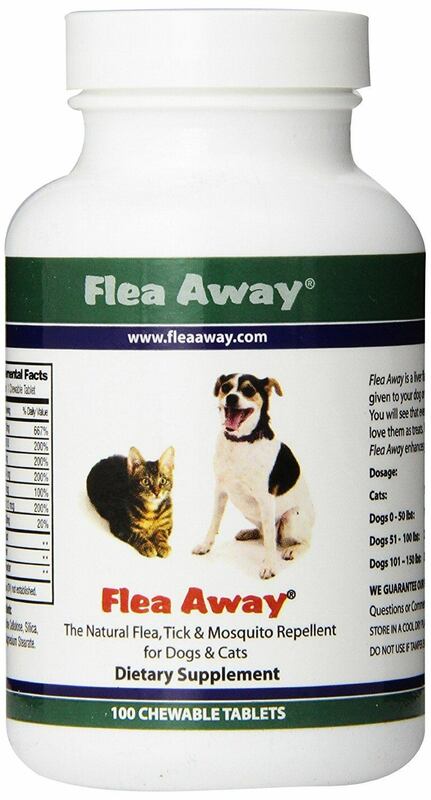 It prevents fleas and ticks to come around your dog. The only precaution needed to be taken to ensure that your dog is not suffocated with the tightness of the collar. It is to be noted that eight months after it is first used, it will lose its effectiveness, and the collar will need to be replaced.